Preparing Your Garden for Spring - Four Seasons Grounds Management Ltd. The evenings are getting lighter. This is the time of year when we start looking eagerly for the first signs of spring, in anticipation of longer days and warmer weather. Now is the time to start your Spring garden preparation. Giving your re-awakening outdoor space some TLC now will pay dividends all summer long. This is equally important for commercial premises, as maintaining well-kept grounds is a crucial aspect of how your organization presents itself professionally. So, what can you do to prepare for spring? TIDY UP: Begin by giving your garden a thorough tidy-up. 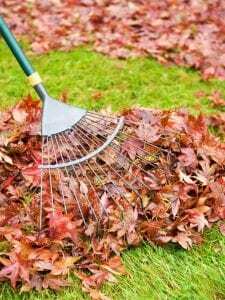 Clear away sticks, dead leaves, and any other debris that has accumulated over winter. Rake plant beds to highlight any weeds that need to be pulled out before they have a chance to become established – as spring is a season of rapid growth for all plants in the garden, wanted or not. 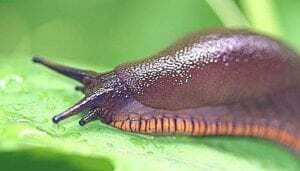 perennials, to spot any slugs, snails, or aphid colonies that have been sheltering over winter. Treat any infestations you find by either natural or chemical means. Early spring is also the time when you may see the fleshy, red-tinged shoots of Japanese Knotweed breaking through the soil. Japanese Knotweed in an invasive, non-native weed that can cause serious structural damage to properties in a matter of months. If Japanese Knotweed is identified, then it is essential to use a commercial grounds maintenance team like Four Seasons, who are licensed to both destroy and remove this plant. If you are concerned that you may have found Japanese Knotweed on your premises, then call Nathan at Four Seasons for a free telephone consultation. INSPECT LAWNS AND GRASSED AREAS: After tidying the garden you will be able to see how your lawn has fared over winter. 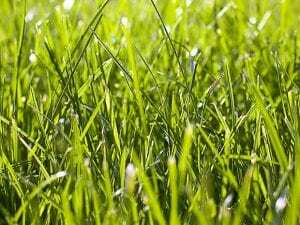 This is a vital part of Spring garden maintenance, as the condition of your grass now will determine how successfully it will flourish over the summer. You should rake and lightly scarify your grass to remove moss that may have infiltrated over the winter, to allow fresh spring growth to prevail. Now is also the time to feed it with a proprietary spring or summer lawn feed. This will increase vigour and help to prevent moss and weeds from becoming re-established. Different lawns require different kinds of feed according to grass type, underlying soil, position, watering, and many other factors. Four Seasons can survey your lawn, sports course, or other grassed areas to determine what it needs, then administer four custom treatments a year, with extra care if needed. INSPECT TREES AND SHRUBS: Check for damaged branches on trees that may need to be pruned or professionally removed before spring. 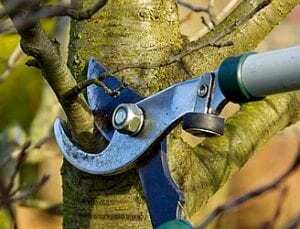 Likewise, prune back woody shrubs, removing any dead or diseased material to ‘tidy’ the plant and encourage healthy new growth. Four Seasons offer a professional hedge cutting and pruning service that will keep your hedges looking lush and healthy all year round. CLEAN UP PATHS AND PAVED AREAS: Unsightly mud and dirt can build up on paths and paved areas making them look dull and grimy. Winter is also the time when moss and algal growth are most significant, and can build up on paving, making it very slippery. Regular pressure washing is an effective way to keep dangerous accumulations of moss, to keep weeds at bay, and to maintain a fresh, clean appearance. Care must be taken with certain surfaces, and around joints between paving stones, so, for best results, consider using a professional commercial grounds maintenance team to do this job for you. 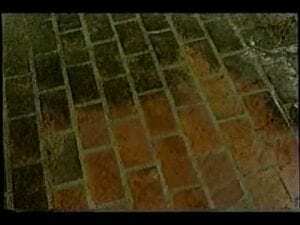 A deep clean from Four Seasons will make your paths and paving look brand new. Because you never get a second chance to make a first impression, give our friendly team a call to help you keep your grounds in tip-top condition.